Banking on our enriched industry experience, we are able to supply Gallium Alloys. We are amongst the most reputed names in the industry, offering Gallium. We are engaged in offering Gallium Metal. Our company is one of the well known companies that manufacture, supply, import and trade a wide range of Gallium Metal to meet the requirements of our customers. 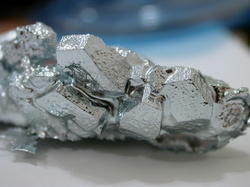 Gallium is a by-product of aluminum extracted during the processing of bauxite into alumina. 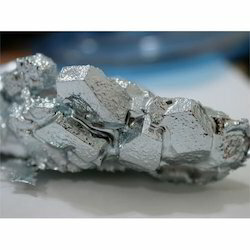 It can also occasionally be found in Zn ore. We are a refiner and supplier of gallium materials.